…there were bad haircuts, and tank tops, and Raleigh bikes, and camps to build, and Showaddywaddy topping the charts, and kick-abouts on the common, and the Boy’s Brigade, and very very occasionally, girls. But football, football was another world. There were of course grown ups, and a few cool kids, who inhabited this football universe. I’d seen them, proudly donning multi-coloured scarves. I even spoke to a few once. But for us little ones there were just balls which we knew how to kick. Don’t get me wrong, we could see the goal; we just had no idea how to get there. Then 1975 happened and football burst through our front door and smacked me square in the face. Three, sucker, punches, and I was floored. 1. The men’s wards of Wycombe General Hospital always faced the pitch, and the building that housed them towered like a colossus over the crumbling Loakes Park terraces. Naturally to an eight year old everything towers, but at the time this building gave its occupants a clear view of both goals. In 4th January 1975 Wycombe Wanderers, then of the Rothmans Isthmian League, took on the mighty Middlesbrough in the 3rd Round Proper. Middlesbrough sat joint top of the 1st Division* so this really wasn’t a fair contest, but Wycombe held them to a draw and the match went down in folklore. Oh, I didn’t go… but my dad did. And that’s it, that’s how it started, not with me attending a match, and not even with me reading the programme. The following season I too was to stand on those crumbling terraces but, at least for now, football had arrived. Later that year, and The Cup reached its zenith, West Ham rode away as champions, and I was presented with my first kit… a beautiful long-sleeved claret & blue shirt in warm heavy cotton (which is important to those of a certain age) and brilliant white shorts. I was Billy Bonds. 2. Holmer Green is a quiet village in a beautiful part of the country, smack bang in the middle of London’s commuter belt. As a child it’s where we went to church. But really, if you’re looking the high life, Holmer Green is probably one of those places you’ll drive through en route to both the high and the life. Holmer Green however has a football team. Somewhat aptly they play in green and are known as “The Greens”, though no relation to political movements of a similar name. 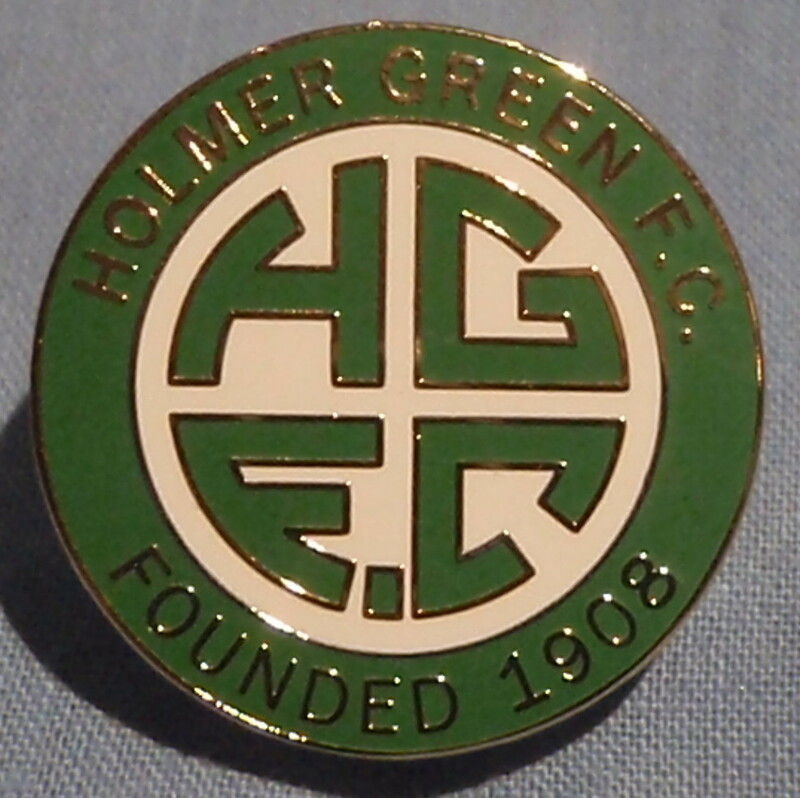 Anyway colour aside, Holmer Green FC made an impact as my dad produced their first match-day programme. We went to the game, a cup qualifying round. Sadly I have no idea where the programme is any longer, nor do I know the game’s outcome… but I remember standing there against a railing watching a game in a field. If I’d known this was to become an obsession maybe I’d have avoided it, but no. 3. Like many families, ours had a rota. A rota for hosting Christmas. A rota to prevent arguments. By chance, or maybe I’d like to think good fortune, on Boxing Day 1977 it was the turn of my grandparents in Eastcote. We had arrived mid-morning but I wasn’t there for long as, before midday “The Men” (of which I was now one) got back in the car. I remember nothing of the short journey to Watford and even less of the game. But I was there, stood on the corner terrace at Vicarage Road, between The Rookery and The Shrodell’s Stand, with, the, men. I had arrived, admittedly six months later than Graham Taylor, but none the less I had arrived, in Vicarage Road, in Watford, in the world of football. A quick trawl through the internet tells me the game finished Watford 3-0 Northampton Town, with goals from Bobby Downes, Alan Mayes, & Brian Pollard, though really this was beyond my memory.